On Instagram, huge numbers are everything. To get those high numbers is a time-consuming job if you are not a celebrity or famous brand. The hard way: have a brilliant idea, execute this idea in great quality over a long time, and you potentially reach fame (followers, brands that want to work with you,…). What many brands and people are doing is to automate some of the tasks involved in building an audience on Instagram (to grow quicker than it would be possible by doing it all manually). You get the idea. 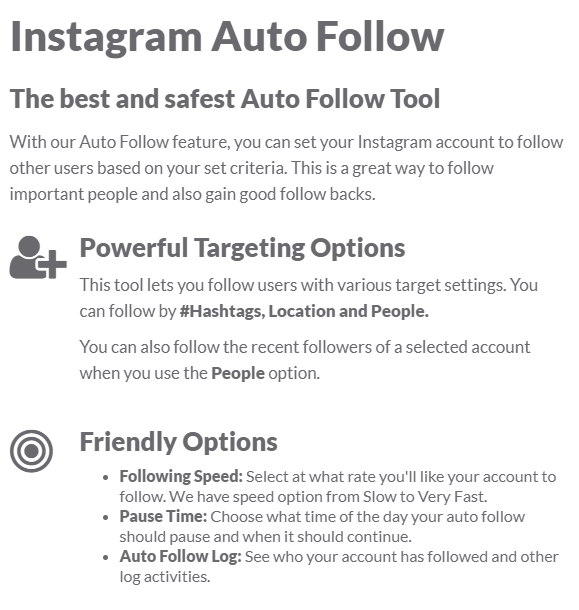 Instead of hanging out on Instagram and clicking like, follow, or comment on hundreds of posts, you can configure a tool to do that for you. The ultimate goal is of course that some of the users getting the automated “engagement” will click on “follow” on your profile. Why is that possible? Because Instagram provides an API developers can use to build products based on their platform. For users doing this a few years back, this was really helping to build an audience. Users were still curious (or un-educated) enough to follow up on fake engagement. I posted two different pictures (a few hours ago) from unsplash with the exact same hashtags and description. The only difference was the used picture. One could really be a picture from travelling, the other one is a picture of a piece of wall. Both pictures were downloaded from unsplash, I am not the creator! The description and tags used on the posts. Wanna build an Instagram account about traveling? Download the best pictures from the genre on unsplash, curate in a fitting order, create fake descriptions, choose the same hashtags over and over again, do it for 6 months and see where this gets you. Or go more niche: search for “travel beach VW” on Unsplash and create an Insta account only featuring your favorite VW! Instagram, now the most used photo publishing app on this planet is no longer amused. The irony is that Instagram heavily relied on the numbers produced by automation. Monthly Active Users (MAUs) and “engagement” numbers inflated by automation are good as long as the app needs to grow. Instagram now is playing good cop and “cracking down” on automation. We are a monopolist and no longer need these fake followers, we hate automated engagement on our platform! Instagram will shut down its API in less than a month. 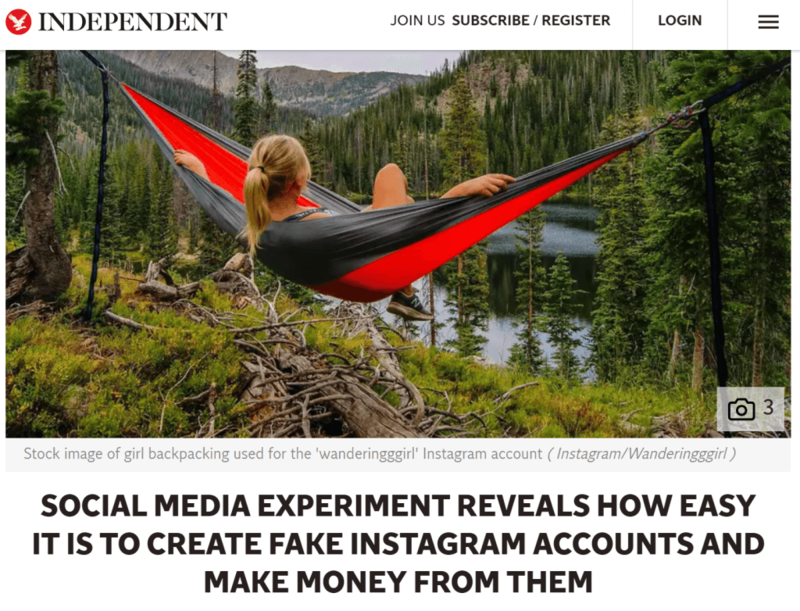 The “crackdown” on fake engagement can easily be done by Instagram by cutting features or access to its API. I appreciate this announcement because it can lead to a less noisy version of Instagram, focused on more real conversations. A stranger clicking like, commenting or following could be a real human that scrolled your feed. Providing tools that help you to discover great content is something app developers then can focus on, not inflating the platform with fake engagement. Interested in this topic? Check out our eBook on Influencer Marketing. 70 pages of wisdom for marketing managers on how to run campaigns with influencers (and how to spot fake followers).